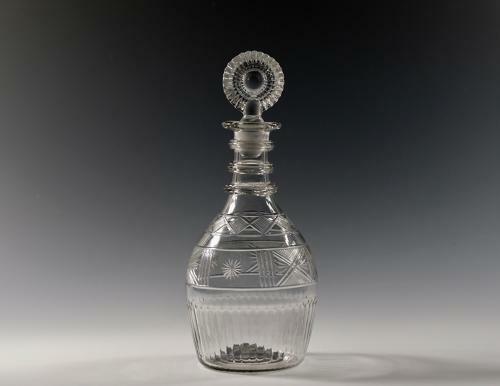 Decanter with three annulated neck rings and moulded bullseye stopper. The body with cut decoration, moulded vertical flutes and the base with moulded rings. Waterford Ireland C1820. Condition: Very good with no chips or cracks. Note: It is unusual to find circular moulded rings on the on base of these moulded Irish decanters.